A huge thank you to all who attended our March PTG meeting. We were privileged to have some of our 6th graders share the wonderful writing they have been working on. We were also pleasantly surprised when some of our 3rd graders came down to recite their thank you letter to the PTG. Last month, the 3rd graders shared their persuasive essays on the topic surrounding the idea of the need for new art supplies to use during indoor recess. We want to continue to invite students to showcase their work at our PTG meetings. What a great way for the children to share, in front of an audience filled with adults, the exciting work that is being done in the classrooms. Thanks to Kim Testa, Susan Goldstein and their committee for organizing a family fun Ice Skate Night! It was a little chilly but we had a great turnout and lots of delicious treats to enjoy during out breaks. There are lots of wonderful events planned for the upcoming months. We hope to see you all next Friday at Movie Night. 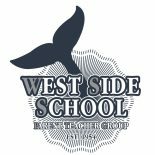 At our next PTG meeting on Monday, April 3rd, we will have our School Media Specialist, Mrs. Fraiberg present on the topic: “Not Your Parents’ Library”- Hear about the resources that the West Side Library Media Center has available for school AND home use. Find out how to access e-books, encyclopedias, databases, the library catalog, and more from the comfort of your couch. E-Resources will cover second to sixth grade and beyond! BYOD (Bring Your Own Device) to practice! Please stay informed by visiting our website http://www.wssptg.com, reading our briefs and attending our meetings. How Is Social Media Affecting Your Child’s Self Esteem? District Office Community Room 75 Goosehill Road. See flyer below. 6th grade get together: Attention sixth graders! There will be a sixth grade get together with Lloyd Harbor on March 24th from 12:30-2:00 (half day). We will be assembling lunch bags for HIHI. This is a great way to mingle with your friends while helping out your community. This event is for sixth graders only. Pizza will be served. – An email from “signupgenius.com” was sent to you. Please sign up for a food donation to have your child bring to the event. -please also email Nicole Pultz and indicate your child’s name, an emergency contact number, and if an alternate lunch (than pizza) is required due to a food allergy. pultz3@optonline.net See flyer below. This entry was posted on March 17, 2017 by wssptg in Brief.